There is nothing quite like flying to give you that wonderful sense of freedom! 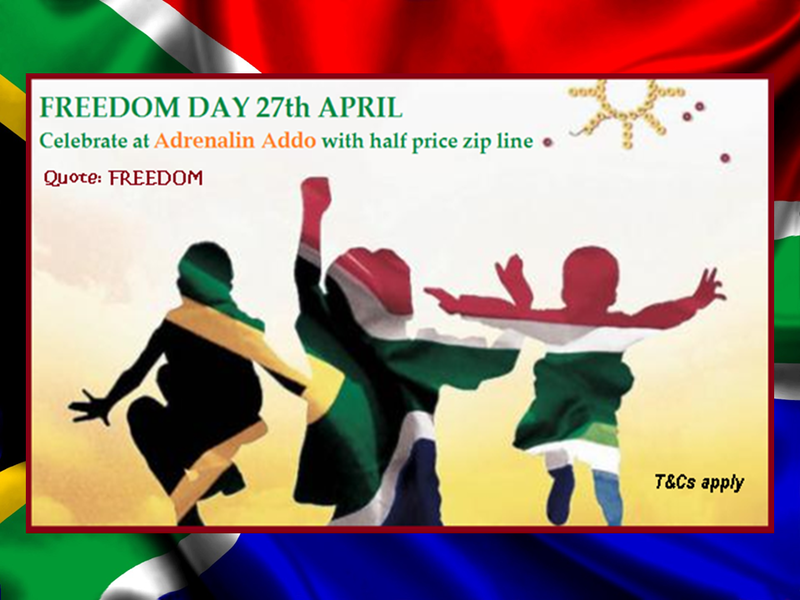 Adrenalin Addo is taking this Freedom Day seriously by offering a fantastic deal. For the month of April you can experience the thrill of the zip line at half price by quoting the word “Freedom” when making your booking. 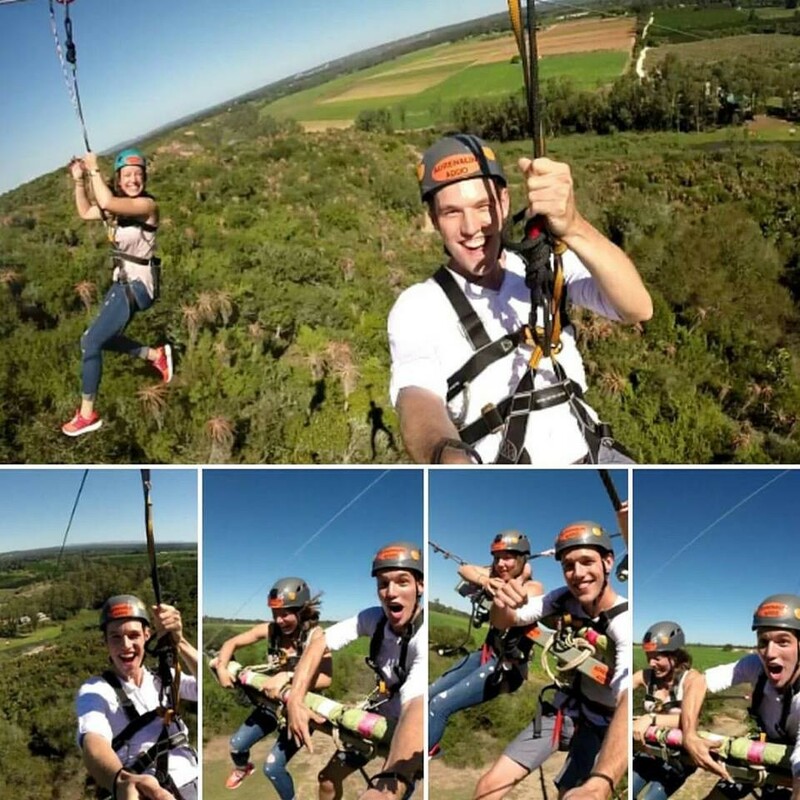 Adrenalin Addo near Addo Elephant Park has not one but two 500 metre wires, which makes this zip line the ultimate zip line in South Africa. It is the highest, longest and fastest double zip line for double the fun. The impressive construction is 70 meters high, 500m long and speeds of up to 80km/h can be reached. With the world’s leading braking system at the end of the line you do nothing but enjoy the ride. Weight restriction applies: 20-120 kg. Have you had any thrilling adventures in Addo? We would love to hear your story. Get in touch via our online form or message us on our Addo Tourism Facebook page.